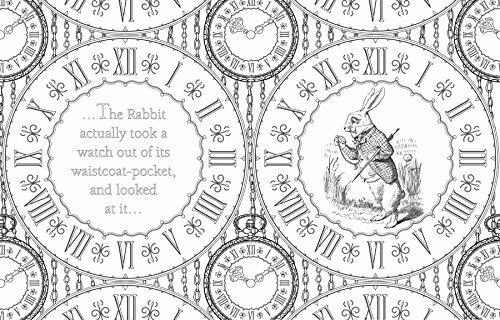 Follow the White Rabbit into this imaginative adult coloring book inspired by Lewis Carroll’s Alice’s Adventures in Wonderland, featuring intricate pen-and-ink drawings by acclaimed artist Amily Shen. 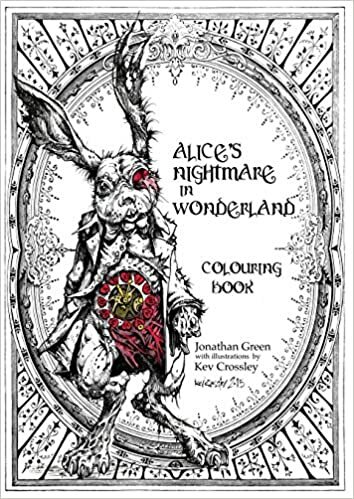 Meet the Cheshire Cat, attend the Mad Hatter’s tea party, and play croquet with the Queen of Hearts in this evocative tale that invites you into a strange and beautiful new world of coloring. 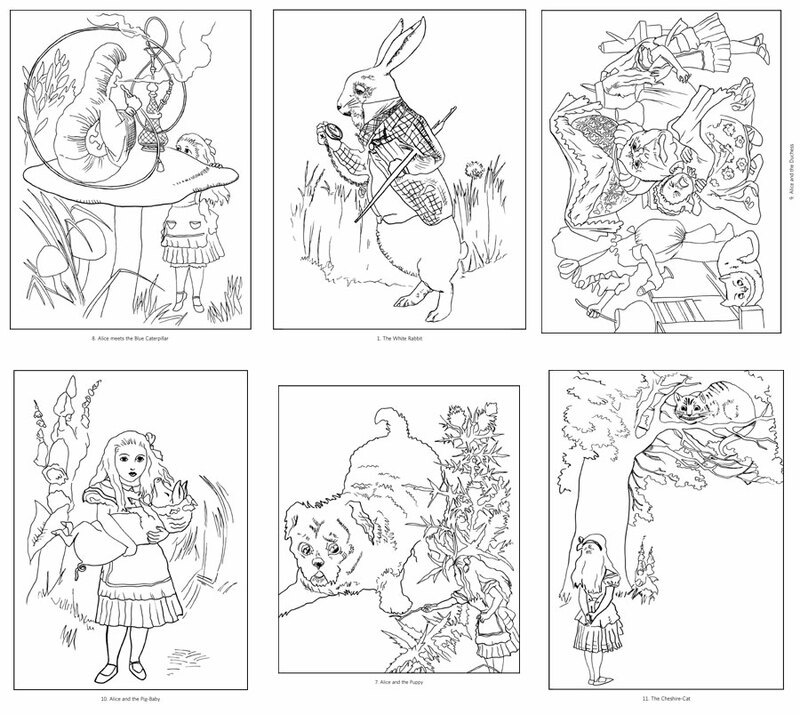 I am a big fan of Alice in Wonderland, so I look at all of the various coloring books that have come out with this as their theme and choose my favorites to purchase. âWonderlandâ has a really fun and different take on the illustrations compared to my other books (which are generally much more traditional.
) In this book, Alice has an updated and trendy vibe that I find very cute. The artist (Amily Shen) has put her spin on the story.The book is both a coloring book (in chapters) and an activity book. I generally do not do the activities but I know that many people do. There is writing on a number of pages but the print is so small, for me, it doesn’t distract me from the designs.The book has 76 pages of coloring and activity (including the front piece and the title page.
) The book is broken into 9 chapters and each of the chapter title pages has a decorated china plate for coloring.For my first project, I chose a design that included Alice, a bird and a cupcake (both of which show up in several other designs.
) I used my Derwent Coloursoft Pencils with a very light touch.The book has a removable dust cover which is nicely decorated with some glossy touches. The dustcover has been printed for coloring as well. The fold-outs (front and back) are black on green and the inside of the cover (from one end to the other) is black on white. The attached cover of the book also has fun coloring opportunities. These designs are black printed on a medium peach and the feel is kind of slick to the touch. Here is an overview of what I noted about the physical book:76 Pages of Modern Alice in Wonderland inspired DesignsPrinted on both sides of heavyweight, non-perforated white paperGlue BoundSome Designs merge into the binding areaSome designs spread across two pages (in my copy, some lined up better than others)Alcohol-based markers bleed through slightlyWater-based markers and India ink pens did not bleed throughGel pens did not bleed through but took extra drying timeColoring pencils worked well in my tests and in my first project as wellI test my coloring books with various medium. My tests are not exhaustive as I spend about half an hour per book with my tests. The tests do give me an idea of how the different medium react to the paper but not the experience of coloring a full design. If you are interested in knowing which types of product I used in my tests, I will post those in the comments section below. 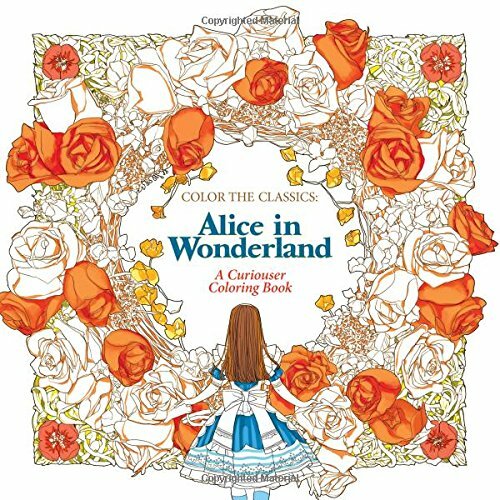 Wonderland is a beautifully illustrated coloring book.Â Definitely inspiring.Filled with your favorite characters from Alice in Wonderland, you’ll find the Cheshire Cat, The Mad Hatter, and many others within. Â All are beautifully designed, and lots of fun to color.The pages are thick, preventing bleeding if you’re using colored markers.The cover comes off to reveal additional drawings for coloring, and there’s even drawings on the other side of the cover. There are also a few puzzles for you to solve, involving the playing cards.Â Answer key is in the back of the book.Some of the illustrations leave space for you to add a few of your own drawings.Â Not something I’m so interested in doing, but a cute idea, nonetheless. I’d say that this is one of the nicer coloring books available on the market today, and you will not be disappointed.For further info, follow this link:Â More InfoI received this book from Blogging for Books for this review. Different, fun and imaginative. Pages are a little rough but other than that the pages are fun and easy to color. 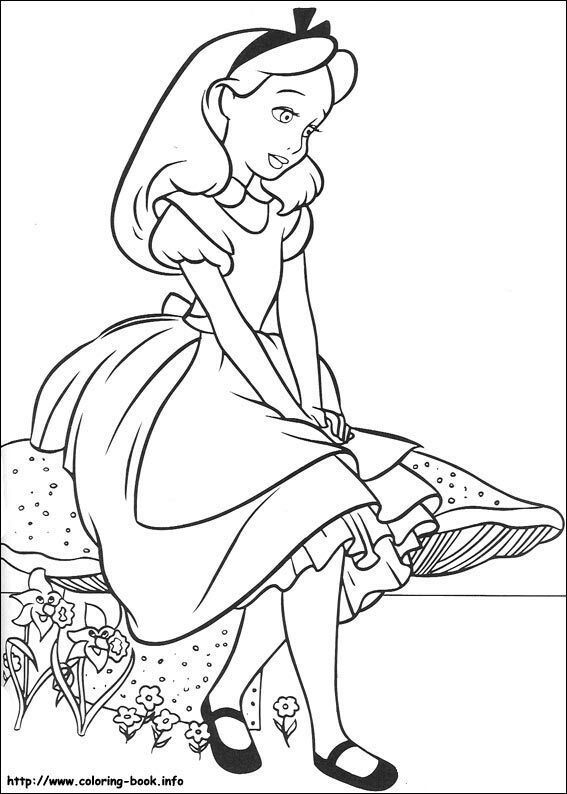 Do you know Alice’s story? Do you draw pictures in your head while reading? Strange conversations with a strange cast . . . has the story been transformed? If you too jumped down the rabbit hole, who would you meet? What colors would you encounter? Take up your colored pencils, and together let’s make a book. Read with your colored pencils, and give Alice a new adventure. Wonderland gives the reader a new adventure of Aliceâs, and itâs different than what youâve read before, but itâs also the same.I said “reader” because there is actual reading in this book. There are a lot of pictures, but there are also pages dedicated to text. Because of this, you may not want to tear out your favorite colored page and frame it on your wall (am I the only one who wants to do this desperately when Iâve finished something intricate? 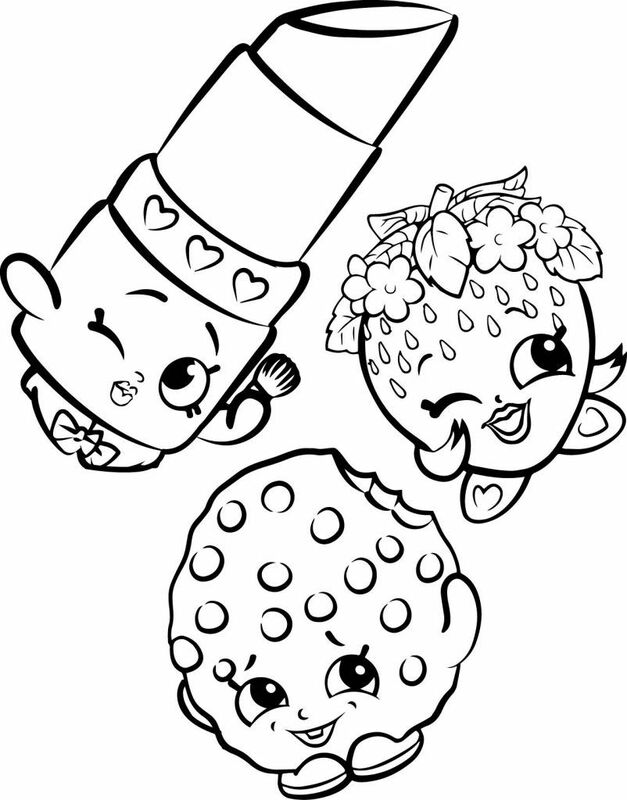 ), or pull a page out to give it to your child to color. All the text-based pages also have a small illustration in the corner for coloring.Many of Aliceâs traditional companions and enemies show up in the story. Thereâs a page for the Cheshire Cat, the White Rabbit, the Queen of Hearts, the flamingo that was used for croquet, the card guards, the Mad Hatter and the March Hare, the dodo, and the dormouse. Thereâs only one page for each in most instances, so you have one shot to make an amazing picture of that character.There are a lot of pages that are what Iâd call mildly interesting: a two-page spread of the cafÃ© you âfall asleepâ in, another two page spread of the exterior of the cafÃ© with a glimpse of the white rabbit, a rose garden maze, a two page spread of pastries, and some activities like drawing owls, doodling butterflies, sketching cakes, and a page of pictures you can search for throughout the book. Those pages just arenât for me. I know there are people out there who want to doodle and do little activities, but I just want to color. 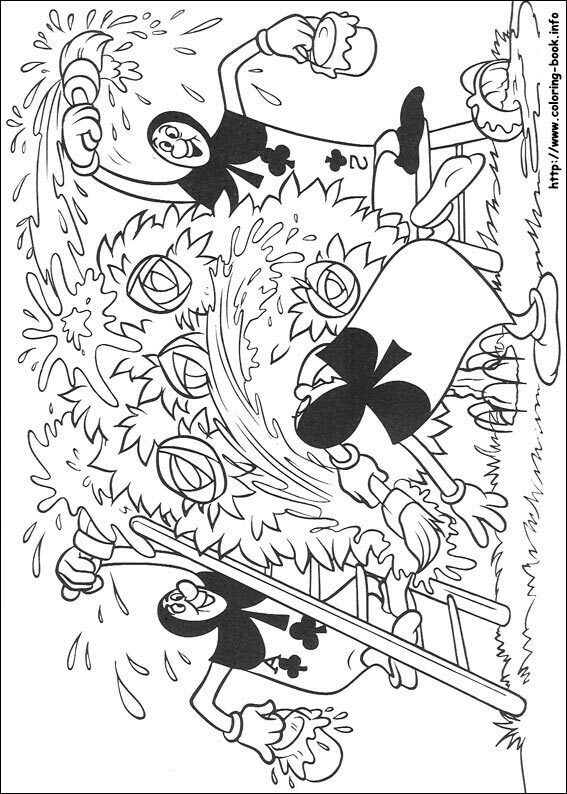 These types of pages are in other coloring books Iâve seen also, they just donât appeal to me, personally. Maybe youâll love them.My only real complaint is that the ink used on the pages rubs off onto the page behind it if you color too hard. I color really vibrant shades, and this often means pressing hard with a colored pencil. If I donât put a sheet of paper behind the one Iâm coloring on, it will tattoo the next page that itâs touching. If you color hard, the extra sheet of paper is a must.The paper is nice and thick, and I used my favorite Crayola glitter markers, covered a good chunk of the page, and thereâs no bleed-through. Overall, I like this book. The cover is gorgeous and thick, there are plenty of pictures to keep me busy, and the illustrations are unique, different, but still familiar.I was given a free copy of this book from Blogging for Books [. ..]in exchange for my honest opinion. I am not required to give a positive review, and any thoughts Iâve expressed are mine. I saw this book in China and loved it. A wonderful coloring book. Purchased as a gift for my daughter who collects Alice in Wonderland memorabilia. She loves the coloring book. Able to purchase for less from Amazon that at local retailers. Paperback: 80 pages Publisher: Watson-Guptill; Clr Csm edition (April 5, 2016) Language: English ISBN-10: 0399578463 ISBN-13: 978-0399578465 Product Dimensions: 9.9 x 0.4 x 9.9 inches Shipping Weight: 1.